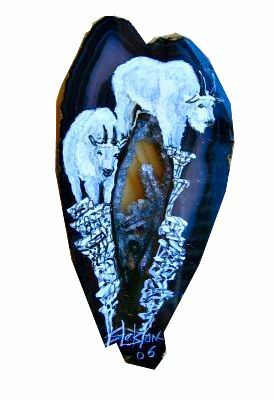 This is an Original Acrylic Painting of Two Mountain Goats painted on a sliced Agate with an open crystallized center, and signed by the artist, S. LeBlanc. The agate slice measures about 2" x 4.25" and is 1/8" thick. It is mounted and framed in a wood frame, ready to display. The frame can either be hung on a wall or will stand up on a table. The frame measures 8 x 10 inches. The mountain goat totem represents surefootedness, resiliency, determination, new endeavors, and a futuristic outlook. The mountain goat is often seen on Pacific Northwest Coast tribal totem poles. 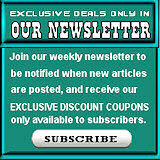 This item can be shipped internationally, but additional shipping charges may apply. 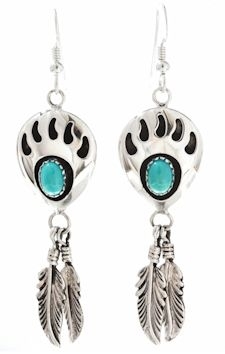 This product was added to our catalog on 12/06/2006.